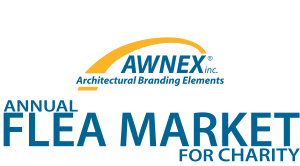 Flea Market | Awnex inc. THIS YEAR’S CHARITY: CHEROKEE COUNTY FOOD BANK! Awnex loves being part of our community here in Ball Ground and Cherokee County, so every year in the fall Awnex hosts a public Flea Market at our facility at 260 Valley St, Ball Ground, Georgia. We rent parking-space-sized lots for $10 per space (maximum of 4 spaces per person) for locals to come and sell their flea market goods and crafts. The proceeds of the sale of spaces, and of snacks, drinks, and tickets for kids games all go to a local charity here in Cherokee County. It’s a day of family fun and great deals, so come see what your community has to sell! The event is located within walking distance of historic Downtown Ball Ground, so come check out the Flea Market, then visit the shops and cafe’s downtown! WANT TO RENT A SPACE AT THE EVENT? CALL NOW, SPACES ARE LIMITED!! We would love to see you there! We have a limited number of spaces and they are first come, first served. Call 770-704-7140, extension 109 MON – FRI 9AM to 4PM or email carrie@awnexinc.com any time to reserve your space today. See below for important information and Frequently Asked Questions. Q: WHEN/WHERE IS THE EVENT? A: The Event is at 260 Valley St, Ball Ground GA 30107 at the Awnex facility. The public event is from 8 AM to 3 PM, but people selling need to arrive early to set up their booths! It will be on September 22nd this year. Q: I WANT TO BE A SELLER, WHO DO I CONTACT TO RESERVE A SPACE? A: You can call our office at 770-704-7140 and dial extension 109 or ask the receptionist to be transferred to Carrie Fowler. If you need to call after business hours or on a weekend you can leave a message, or you can make your reservation via email by emailing carrie@awnexinc.com at any time. Q: WHAT KINDS OF THINGS CAN I SELL? A: You can sell anything from clothes, furniture, blankets, toys, books, electronics and other household, yard-sale type items. You can also sell your own home made crafts, artwork or knickknacks. You cannot sell alcohol, weapons, or anything not suitable for a family friendly environment. Q: HOW MANY SPACES DO YOU HAVE? A: We have about 50 parking spaces. That doesn’t mean we can accommodate 50 sellers however, as people can reserve up to 4 spaces if they have a lot of stuff and need the space. It is first come first served when it comes to reserving spaces, so reserve as soon as possible! Q: ARE TABLES AND/OR CANOPIES PROVIDED? A: No, you will need to bring your own folding table and/or canopy if you want. It is not required, you are welcome to put your stuff on the ground or on blankets or however else you want to display your items for sale. If you wish to bring a canopy you will need to either get 2 spaces to have room for it, or be willing to share the space under the canopy with another seller. Q: ARE THERE ASSIGNED SPACES? CAN MY FRIEND/FAMILY MEMBER AND I BE IN SPACES NEXT TO EACH OTHER? A: The only assigned spaces are end spaces at the very end of the lot so some people who need to leave early can have access to load up without driving through the lot during opening hours. There are only a very limited number of these spaces. Aside from those, when you arrive you will be directed to the next open space in line. If you want to be beside a friend/family member you will need to arrive together. Q: I NEED TO LEAVE EARLY, BUT THERE ARE NO MORE END SPACES! A: Because the lot will be full of foot traffic and children, it will be closed off to vehicles, so you wont be able to bring your car right to your space. 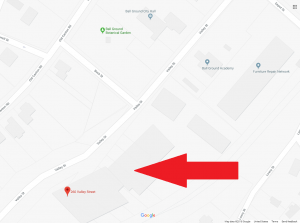 If you know you will need to leave early, you can go get your vehicle and bring it to the end of the parking lot, and we will have volunteers who can help bring anything you didn’t sell back to your vehicle. However we do strongly encourage you stay for the whole event if you are able to. A: To rent a space it is $10 for a parking-space sized area. You can get a maximum of 4 spaces for a total of $40. It is free for the public to come and browse the Flea Market. We sell drinks and snacks, and tickets for kids games and face painting. Q: AS A SELLER, WHEN DO I NEED TO BE THERE? A: Sellers need to arrive sometime between 6AM and 8AM to set up their areas. That is the only time when vehicles will be allowed in the lot. While the public is browsing and kids are playing the lot will be foot traffic only between 8AM and 3PM. If you cannot stay the whole time, please let us know when you reserve a spot, so we can place you at one of the ends of the lot. Please note that these end spaces are limited and first come, first served. Q: DO I GET TO KEEP THE MONEY FROM SELLING STUFF? A: Of course! Only the proceeds of renting the spaces, and selling snacks, drinks and game tickets go to charity, you can keep whatever money you personally make from selling things! Though you are more than welcome to donate some to the charity, it is not required. Q: WHAT KINDS OF GAMES/PRIZES ARE THERE FOR THE KIDS? A: We sell tickets to a few carnival style games as well as face painting. Tickets are 3 for $1 and proceeds go to the local charity. We also sell drinks and snacks for $1 a piece, again proceeds to charity. Q: I HAVE OR WANT TO RECOMMEND A LOCAL CHARITY, WILL AWNEX SPONSOR US/THEM NEXT YEAR? A: Maybe! Contact Carrie at carrie@awnexinc.com to let her know you’re interested in being one of our sponsored charities. You must be an established and local Cherokee County charity. Q: I HAVE A QUESTION NOT LISTED HERE!